First class honors law degree. 102 appearances for England women’s national football team. First female pundit on Match of the Day. UN Women UK ambassador. Guardian columnist. All of these achievements belong to Eni Aluko, who, with her forthcoming memoir They Don't Teach This, is keen to share her experiences, aiming to inspire readers to be the best possible versions of themselves. Aluko was appointed UN Women UK ambassador with a focus on promoting gender empowerment in 2016, and in October 2018 she was named by Marie Claire as one of ten Future Shapers Award Winners, recognising individuals who are changing women’s futures for the better. She is currently playing football for Juventus in Italy and writing a weekly column for The Guardian. They Don’t Teach This steps beyond the realms of memoir to explore themes of dual nationality and identity, race and institutional prejudice, success, failure and faith. It is an inspiring manifesto to change the way readers and the future generation choose to view the challenges that come in their life applying life lessons with raw truths of Eni’s own personal experience. 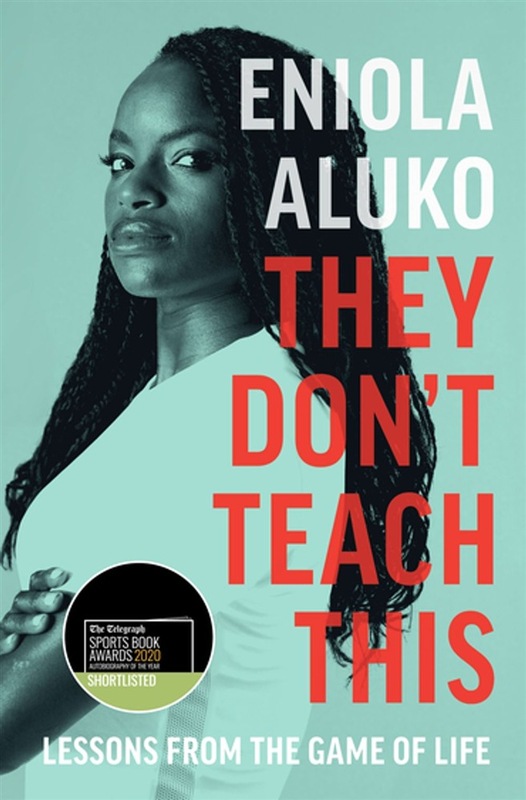 Acquista They Don’t Teach This in Epub: dopo aver letto l’ebook They Don’t Teach This di Eniola Aluko ti invitiamo a lasciarci una Recensione qui sotto: sarà utile agli utenti che non abbiano ancora letto questo libro e che vogliano avere delle opinioni altrui. L’opinione su di un libro è molto soggettiva e per questo leggere eventuali recensioni negative non ci dovrà frenare dall’acquisto, anzi dovrà spingerci ad acquistare il libro in fretta per poter dire la nostra ed eventualmente smentire quanto commentato da altri, contribuendo ad arricchire più possibile i commenti e dare sempre più spunti di confronto al pubblico online.